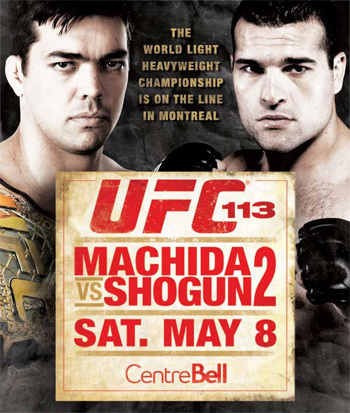 The Quebec Athletic Commission has issued precautionary suspensions for all the contestants that participated in this weekend’s “UFC 113: Machida vs. Shogun II” event. Unfortunately for former light heavyweight champ Lyoto Machida, he was not only handed the first loss of his professional career, but he received the longest suspension, as he will be forced to sit the sidelines for at least 60 days. Jonathan Goulet must ride the pine for a month after getting put to sleep in the 2ndRound by the heavy-handed Marcus Davis. UFC 113 took place Saturday night inside the Bell Centre in Montreal, Quebec, Canada.